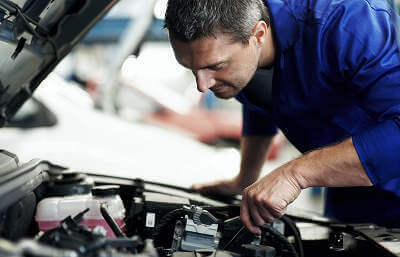 MyCarNeedsA.com, the UK’s leading price comparison site where service providers quote for MOT, servicing and repair work, is launching a major new radio campaign, as part of significant consumer marketing investment over the new financial year. The first burst of the radio advertising is running from 10th – 26th April across Talk Sport and Radio X, featuring 20 second adverts, with the second burst airing from 8th- 17th May. The radio advertising will reach 2,550,000 adults in the first burst and 1,703,600 adults in the second burst. Scott Hamilton, Managing Director of MyCarNeedsA.com comments: “We are continuing our significant brand investment, investing heavily in the development of our website, the launch of a new consumer app and our new radio campaign. “Our network of garages and independent workshops are enjoying the benefits of quality MOT, servicing and repair leads from customers in their local area which we pass onto them, as consumers look for the best deal from approved businesses. They can choose the best quote for them, whether it’s based on convenience, recommendation or price.” See how it works here. MyCarNeedsA.com now works with 4,000 garage and workshop partners nationwide. Only Authorised Repairers provide quotes for work, after a thorough vetting process and only genuine parts are used on all customer vehicles. Service books are stamped and a 12 month guarantee on all parts and labour is provided. For further information, on joining please see our trade signup.